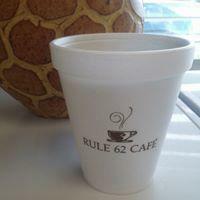 Custom styrofoam cups are environmentally friendly ways to expose your brand while making cleanup a breeze. The 8 oz. Foam Cup does not contain CFC's (the harmful agent to the environment) and more importantly is stable and harmless in a landfill. Wraparound printing is available on this product. The size of the wrap printing area is 7.125" x 1.75". Needed an economical logo cup for a health fair. most versatile. Can be used for hot or cold. Coffee, ice cream, a small taste or to quench your thirst. Previously we used a different company to get our coffee cups. But, we were surprised to see a savings of almost 50% going with PrintGlobe! We will be a PrintGlobe customer for a long time to come for a variety of promotional items. Exactly what I expected, wanted, and needed. Good quality product and design. Thank you! special events call for special cups - only wish they were more affordable, I'd use them for everyday drinks. Printglobe was fast and efficient and every helpful. Thank you for sharing your feedback and your photo! We will have your account manager reach out to you about how we can help make these suit your every day needs.